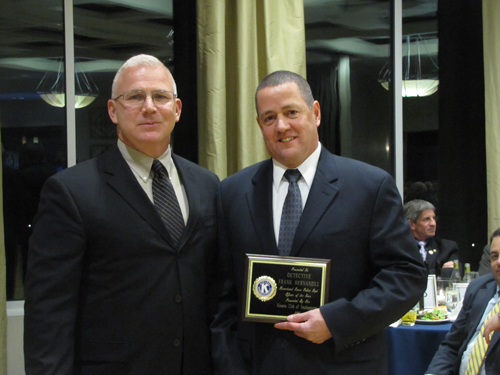 Riverhead Town Supervisor Sean Walter will deliver his 2014 State of the Town address to a special joint meeting of the Riverhead Lions, Kiwanis and Rotary clubs on Tuesday, Feb. 25 in the Sea Star Ballroom at the L.I. Aquarium and Exhibition Center in downtown Riverhead. The special tri-club meeting is hosted this year by the Rotary Club of Riverhead. The dinner meeting begins at 6 p.m. Tickets are $45 per person. A sit-down dinner will be served. Pay at the door by cash or check payable to Rotary Club of Riverhead, but advance reservations are required. For more information about reservations for the dinner, visit the Riverhead Rotary website, RiverheadRotary.org and see “Club Events” in the right-hand column.